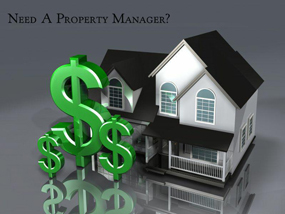 Finding the right, Miami property management company is very important and very challenging. At Realty Empire, we understand investment real estate and we will treat your rental property as top priority. From single family homes to multi-family apartment buildings, our goal is to provide custom, personalized residential property management in Miami that exceeds what other management companies provide, and what clients expect. Deal with a local real estate company that understands your needs as a landlord. At Realty Empire, we place quality tenants, collect rent and deposits, manage all maintenance and repairs, pay the bills, and keep you headache free! All tenants are professionally screened for credit, criminal, and past evictions ensuring the best possible tenant for your investments. All you have to do is deposit your income checks! We keep your costs lower by having in-house maintenance and cleaning services as well as an extensive network of professionals that take care of the maintenance necessary to keep your property paying you for the long term and remaining in tiptop shape. We also maintain regular inspections of your property and report our findings to you in order to keep your costs lower and your tenants happy! Call Us Today at 786-664-7710 for an Immediate Evaluation of Your Rental Property! You can also fill out the from below!